Vaping seems to have grown quite popular over the last few years. I see more and more people using vaporizers, and less people smoking. For many individuals, vaping is simply a healthier alternative. Recent studies collected by PubMed Health suggest that vapes are 95% less harmful than cigarettes, and health experts are recommending them for those interested in long-term nicotine use. It makes sense. If you inhale a substance that is burning, I can’t imagine it would be all that good for you. The lungs are for oxygen, and not for combustible materials. By choosing to vape however, you are essentially eliminating all traces of these toxins, which would have been in your lungs, had you inhaled it using a more traditional method. This may be true with reference to cannabis as well. Although smoking cannabis, as far as we know right now, is significantly less harmful to your lungs than tobacco smoke, vaporizing it may reduce risks to almost zero. A recent study conducted, shows that vaping cannabis eliminates a high amount of respiratory irritation, which would have occurred had it been regular smoke. Thanks to vaping technology, the overall risk of damaging your respiratory system due to carcinogens is reduced. Cannabis users who wish to promote lung health can opt to vape instead of smoking. You aren’t restricted to traditional methods any longer. But hold on there. 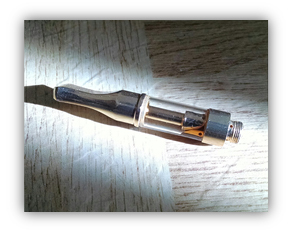 Before you go and start vaping, you should ensure that you are getting the quality that you deserve. I would hardly advise anyone to go out and get any old vape. It appears as though you need to be rather careful if you want to reap the benefits of vaping. Some vapes are built with cheap materials (such as metals that leach toxins), or inferior designs (such as contaminated or constricted airflow passageways), so it is always important to research the specific design you are interested in. Generally ‘e-pens’ and handheld devices have the lowest overall quality (in terms of build/design, not necessarily safety), but the highest mobility; while the bulkier desktop vaporizers are just the opposite. There are also several models in-between that defy the norms. Both high and low end devices are subject to cheap knock-off production, so it is always a good idea to research the particular model and style you are interested in. Because of the constant shifts in design and regulatory demands in the vape industry, we will not be making any specific recommendations.. for now. There are many websites that do (sometimes paid) reviews on vaping technology, so make sure any information you come across on and off line, is both well-informed and consistent! There are high quality vape oils, and there are low quality vape oils. Like most things that are low quality, the cheaper vape oils may not be all that they set out to advertise. Cannabis oil is thicker than regular vape oil, so most need a thinning agent of some sort, in order to prepare it for the vaporizing process. On account of cheap manufacturing procedures, some cannabis vape oils contain thinning agents that possess unwanted carcinogens. Although the vape may eliminate combustion, these oils contain potentially harmful ingredients. If you were to purchase a vape oil that contained carcinogenic substances, it would seem sort of self-defeating. If you are looking to invest in a vape in order to promote greater lung health, then be sure that your product is actually doing that. You will want to avoid vape products that use thinning agents such as propylene glycol and polyethylene glycol. Instead, you want to seek out vape products that use thinning agents such as vegetable glycerin, and medium chain triglycerides. There are definitely reputable brands out there thankfully, and if you are sure to do your research, you can purchase vape oils that have all natural thinning agents. 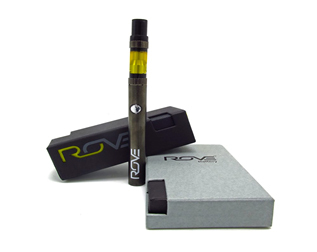 Rove is one such manufacturing brand. They have had their product tested and verified. So do your homework, buy a vape, and treat your lungs with the highest form of cannabis care.